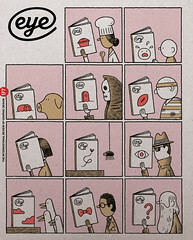 Before it ever reached print, The California Sunday Magazine was a stage show called Pop-Up Magazine. Writers, photographers, film-makers, musicians and radio and podcast producers gathered to perform new, true stories in an attempt, as the show’s co-founder and editor-in-chief Doug McGray describes it, to mirror great pop-up books, where two dimensions spring to life in ways that are thrilling and surprising. Since the first performances in 2009, these ‘live magazine’ shows continue to sell out in minutes. Spread from August 2017. 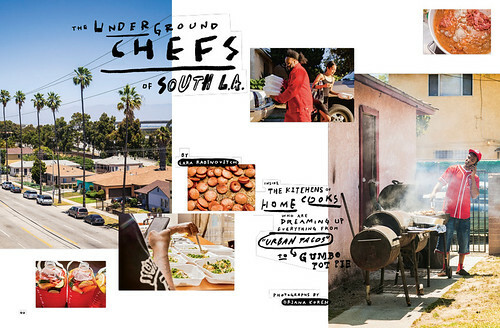 The lettering was designed in-house by art director Annie Jen, and demonstrates The California Sunday Magazine’s flexible typographic approach. Photos: Oriana Koren. 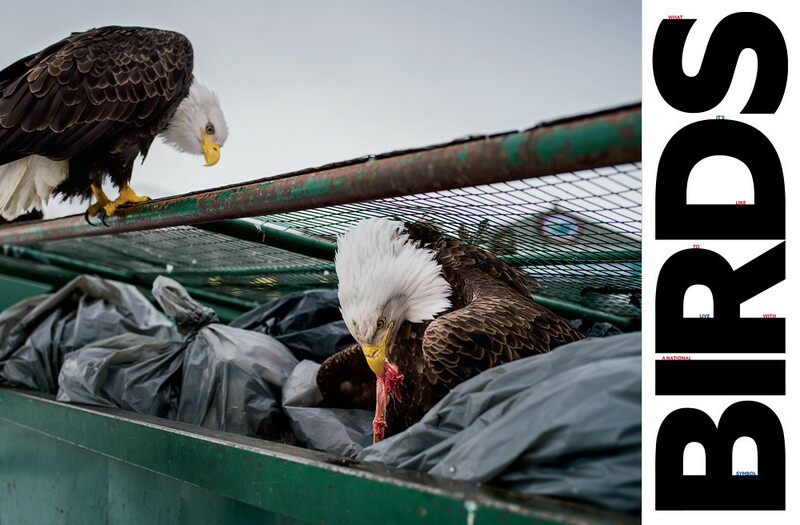 Top: Spreads from April 2017 showing Corey Arnold’s shots of grubby, Bald Eagles. 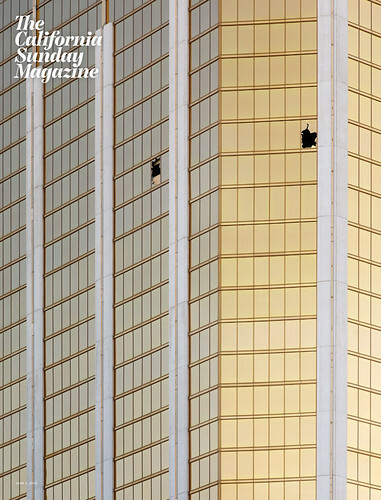 June 2018 cover, with windows shattered by a lone gunman in Las Vegas. Photo: Joshua Dudley Greer.